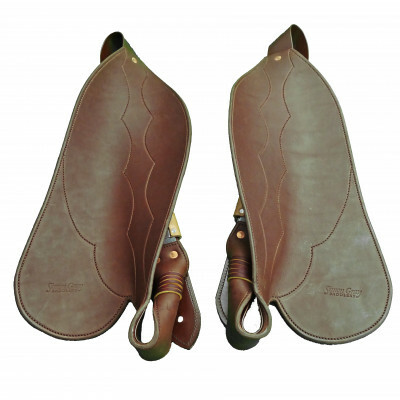 Most of SGS tack is made using Sedgwick English leather which is available in Black, Dark Havana, Ausnut and Light Havana. Other leathers used include American or other brands of English leather. All buckles used are either solid brass or stainless steel, ensuring your tack will give you years of service. You can order standard sizes or have an item custom made to your measurements. 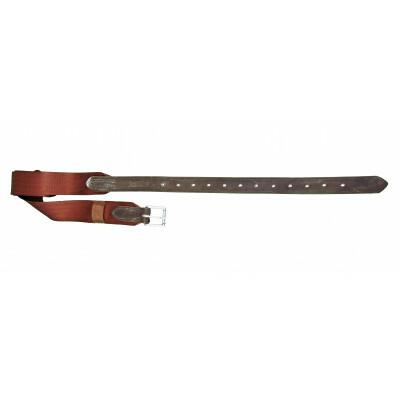 Fits 1 ¼” (standard stock saddle) girth points to protect the flaps from rubbing on girth buckles. 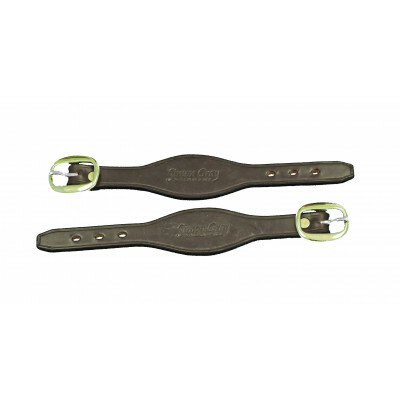 M..
Fender hobbles (one pair/ two hobbles) to hold stirrup is place on fenders or 2 ½” wide.. Replace your worn out fenders with SGS design short, medium or long fenders or send in your old ones..
Attaches to the rings of a Barcoo bridle to keep the flies at bay whilst riding. Made from English o..
Attaches to the saddle dee ring to hold your girth and breastplate (if required) neatly out of the w..
Lip/curb strap for snaffle bit. Avaiable in two sizes- Full 7 1/2" long and Cob-5 ½” long. 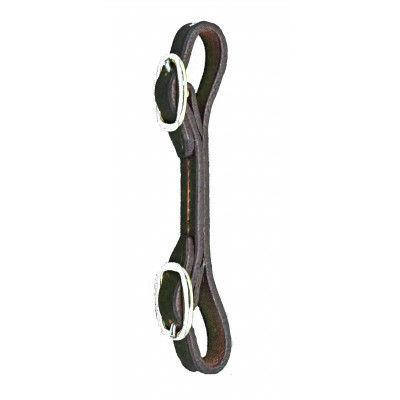 Both ½” w..
Lip/curb strap for snaffle bit. Simple lace join design. 5 ½” long and ½” wide. 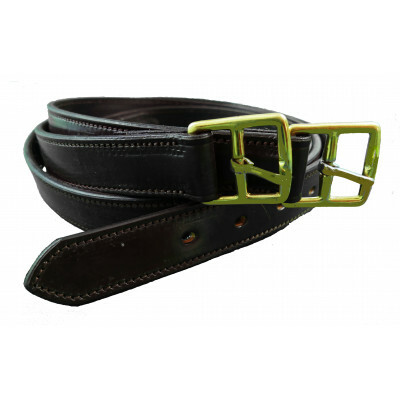 Made from American l..
Seat belt webbing surcingle with leather point and buckle end. .. 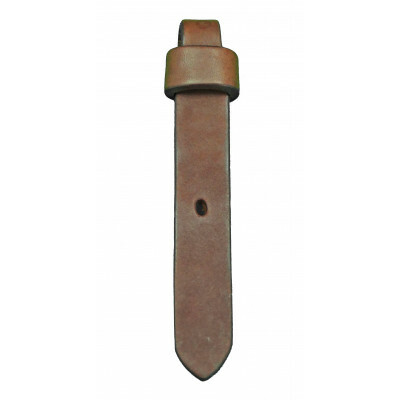 Spur straps for use with spurs with single studs each side. Made from English leather and riveted bu.. 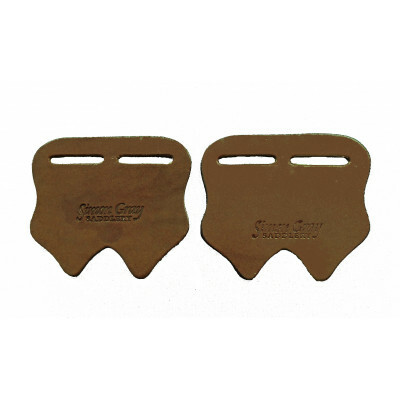 Spur straps for use with spurs with single studs each side. The larger body of the strap helps hold .. 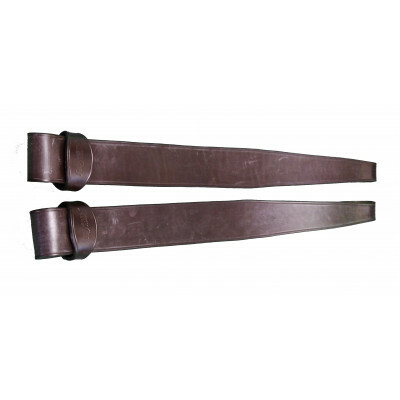 Spur straps for use with spurs with double studs each side. Made from English leather and stitched a..
Stirrup leathers 1 ¼” wide, made with or without seatbelt webbing lining. 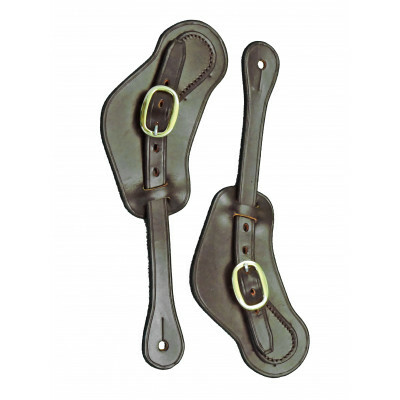 Made from English leather ..
Stirrup leathers 2 ½” wide to suit oxbow style stirrups, tapered to a 1 ¼” strap and buckle and made..